Turkish Airlines’ impressive growth means that it is becoming an emerging threat to the “Big Three” Middle Eastern carriers, Emirates, Etihad Airways and Qatar Airways, said Boeing International president Bertrand-Marc Allen. “The UAE airlines have started with a real focus on this global hub strategy that was differentiated but I think that Turkey (Turkish) is starting to rival [them],” said Allen. 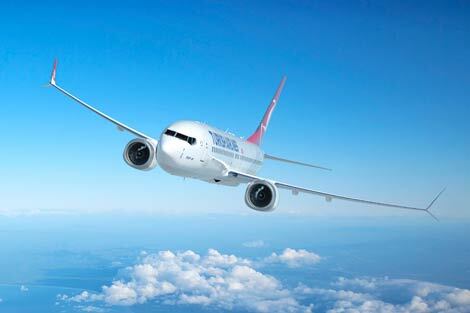 Financially, Turkish Airlines is stronger than ever. According to Gulf News, the Star Alliance member now operates flights to 284 destinations from its base in Istanbul, and reported a record US$1.1 billion profit last year having carried some 61.2 million passengers. An ongoing fleet renewal policy will also see the carrier take delivery of 220 new aircraft by 2020, on top of the 304 it currently operates. In comparison, Emirates serves flights to 134 destinations, and flew 49.3 million passengers through its hub in Dubai last year. The Middle East heavyweight also posted an impressive US$1.2 billion profit. While all four carriers compete for transcontinental traffic, Turkish Airlines has an important ace up its sleeve. The airline’s Istanbul hub holds a geographical advantage when connecting passengers from Asia to the US and Europe. Moreover, Turkey is home to 79 million people, as compared to the nine million living in the UAE – meaning that Turkish Airlines enjoys a healthy pool of point-to-point travel. “Turkey is a significant opportunity, it’s plainly got the capability, the geographic positioning, the population, the culture to be a success and to be the source of a lot of growth over the next 20 years,” noted Allen.